The 16th annual Phuket Bike Week will be taking place this year from April 9th to the 13th and will be chock full of activities. This years event will feature a charity bike ride, live music, custom bike contest, Miss Phuket Bike Week contest, a tattoo contest and much more packed into the 5 days of festivities. Many international motorcycle companies will be taking part with exhibits and items for sale as well as all kinds of souvenirs and memorabilia to be had. Not to mention all the great bikes on display, and you can bet there will be all kinds of great food and fun on offer. around the world; and organize charitable activities to raise funds for schools for underprivileged children in Phuket. As well, Phuket Bike Week is meant to bring riders of all nationalities and ages together in a show of unity and to create lasting connections in the biking world. Easily considered on of the best bike weeks in the world, Phuket Bike Week 2010 is definitely one not to be missed. If you need more information you can contact the event organizers below and or you can click on the Phuket Bike Week poster to be taken to the main event site for more information. As always, information on all upcoming events in Thailand can be found by checking out the Thailand Calender of Events. I didn’t know motorcycles were popular in countries other than the U.S. The only thing that is ever seen is foreigners on mopeds. .-= john @finger oxygen monitor´s last blog ..Finger Oxygen Monitor updated Sun Feb 21 2010 8:48 pm CST =-. Talen, Phuket’s Bike Week is sooooooo very tempting. I’m curious at the costs, so checking tickets now. 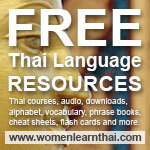 .-= Catherine´s last blog ..Successful Thai Language Learners: Herb Purnell =-. Cat, Bike week should be a blast. I don’t think you have to buy tickets except for some of the events like the concerts. Well, this post really makes you wanna pack your stuff and take off to Thailand. I usually go to the Daytona Beach bike week, in Florida, i ride all the way from Miami on mi 2000 Kawasaki ninja zx9r. .-= Fernando @ Custom Motorcycle Exhaust´s last blog ..About Us =-.